Detective Kyochiro Kaga of the Tokyo Police Department has just been transferred to a new precinct in the Nihonbashi area of Tokyo. 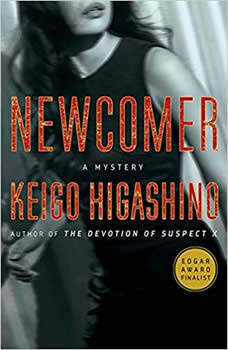 Newly arrived, but with a great deal of experience, Kaga is promptly assigned to the team investigating the murder of a woman. But the more he investigates, the greater number of potential suspects emerges. It isna€™t long before it seems nearly all the people living and working in the business district of Nihonbashi have a motive for murder. To prevent the murderer from eluding justice, Kaga must unravel all the secrets surrounding a complicated life. Buried somewhere in the womana€™s past, in her family history, and the last few days of her life is the clue that will lead to the murderer.